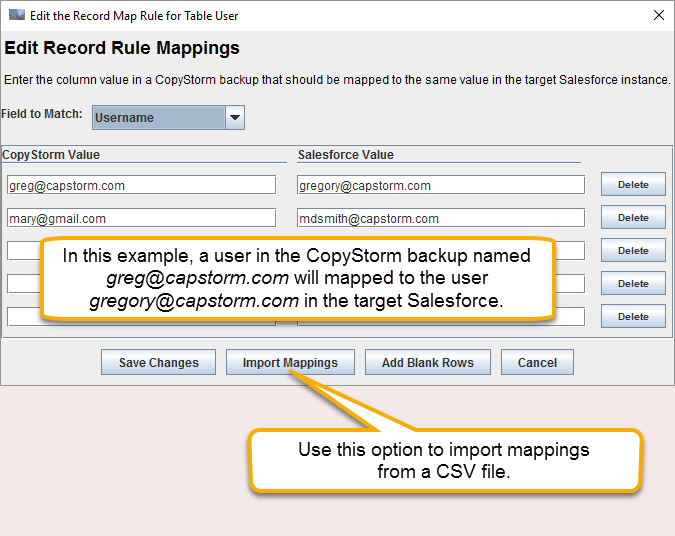 The Record Mapping Rule tool is used to create rules telling CopyStorm/Restore how to map between records in the CopyStorm backup to records in the target Salesforce. This is very useful for migration in mapping Salesforce users and a variety of core Salesforce configuration records. Mapping Salesforce Users by their email address. Map Record Types based on record type (where the names are not the same in CopyStorm and the target Salesforce). CopyStorm/Restore includes default mapping rules for a few common tables. However, these rules do nothing by default because no specific mappings are supplied. 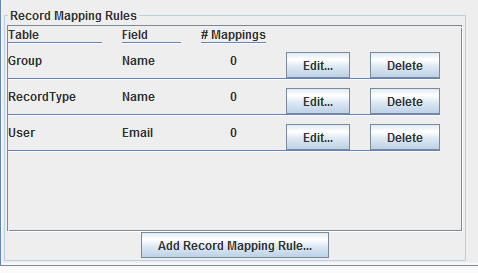 Additional tables can be added by clicking on the “Add Record Mapping Rule…” button at the bottom of the tool. To add or modify the mappings for a specific table, click on the “Edit” button next to its name. 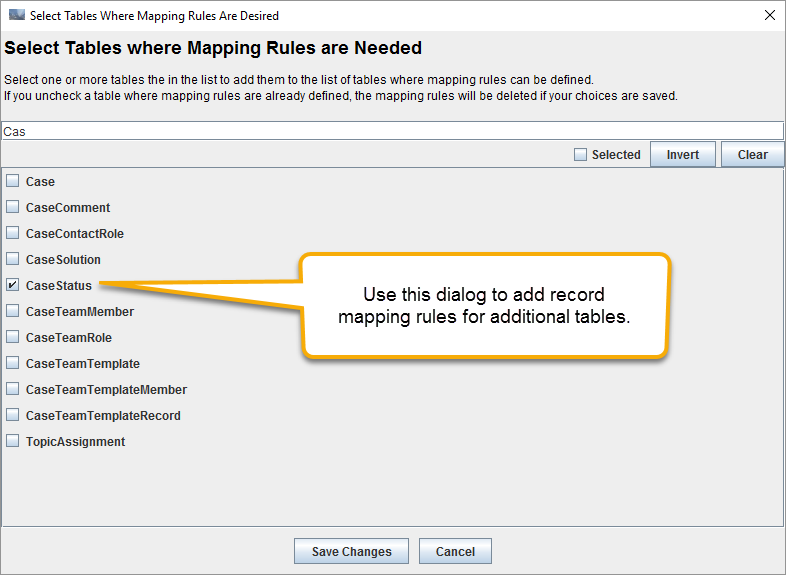 A dialog will appear showing existing mappings, allow them to be edited or removed, and allowing additional mappings to be imported from a CSV file.